Perfect for shopaholics looking to drive a great bargain! So much easier and comfortable than I thought. You don’t have to print, just show the voucher from your mobile phone. Aboard the bus, enjoy the scenery along the way, and arrives right in the village. Nice. Recommend. Definitely will try again. Looking for crazy discounts to some of the world's premiere luxury brands? Look no further because this roundtrip transfer service takes you straight to the heart of it all. La Vallée Village is an open-air shopping village featuring over 100 luxury brands like Armani, Calvin Klein Jeans, Diane Von Furstenberg, Diesel, Gérard Darel, Coach, Valentino and more. Known for the crazy discounts they offer, you can get up to 33% off on items from their previous collection. On top off all that, the village is open 7 days a week, so you can go whenever it's convenient for you. So what are you waiting for? Shop til you drop, you deserve it! worth the trip! Express coach was very comfortable and the guide was very helpful. worth the trip! Express coach was very comfortable and the guide was very helpful. The meeting place for the bus was in the Pariscityvision near the Louvre. The bus ride to and from la vallee was great and scenic. I would recommend this if you like to shop. They also have Laduree. The meeting place for the bus was in the Pariscityvision near the Louvre. The bus ride to and from la vallee was great and scenic. I would recommend this if you like to shop. They also have Laduree. this is a must visit outlet if u are traveling to Paris! the shared coach is convenient and u can save money on taxi but spend it on your shopping instead! this is a must visit outlet if u are traveling to Paris! 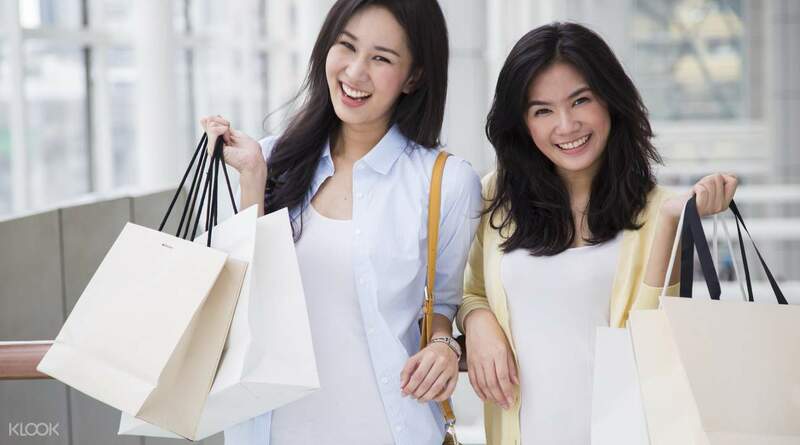 the shared coach is convenient and u can save money on taxi but spend it on your shopping instead! 2nd time using it and still perfect. The traffic really bad this time, overall okay. Worth the price and easy to access. 2nd time using it and still perfect. The traffic really bad this time, overall okay. Worth the price and easy to access. Easy location, bus transfer is smooth and much more cheaper than taxi. The voucher also easy to use at all. Easy location, bus transfer is smooth and much more cheaper than taxi. The voucher also easy to use at all. So much easier and comfortable than I thought. You don’t have to print, just show the voucher from your mobile phone. Aboard the bus, enjoy the scenery along the way, and arrives right in the village. Nice. Recommend. Definitely will try again. So much easier and comfortable than I thought. You don’t have to print, just show the voucher from your mobile phone. Aboard the bus, enjoy the scenery along the way, and arrives right in the village. Nice. Recommend. Definitely will try again. Very handy & easy to buy the coach tickets online with good price. Very convenience for the visitors to take the shuttle coach rather than taking other transportation to and from the La Vallee Village. Enjoy the both the coach journey and shopping very much on the date. Very handy & easy to buy the coach tickets online with good price. 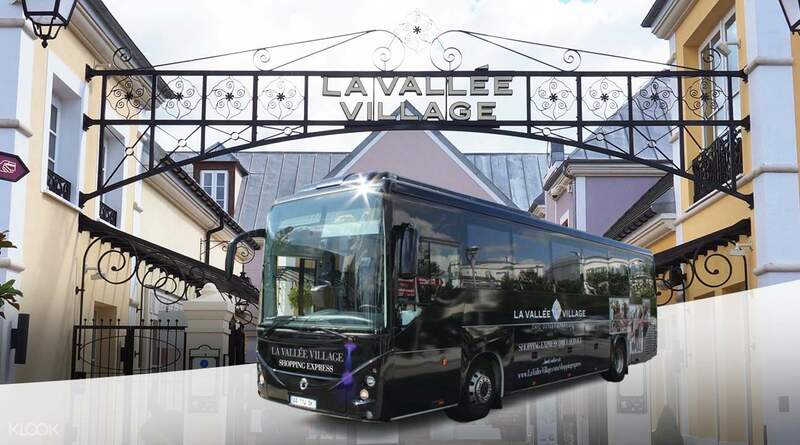 Very convenience for the visitors to take the shuttle coach rather than taking other transportation to and from the La Vallee Village. Enjoy the both the coach journey and shopping very much on the date. Best choice for transportation to outlet. Feel comfortable and help us save a lot of time take train，especially after you shopping,just take your bag and wait behind of customer service center. Good choice. Best choice for transportation to outlet. Feel comfortable and help us save a lot of time take train，especially after you shopping,just take your bag and wait behind of customer service center. Good choice.